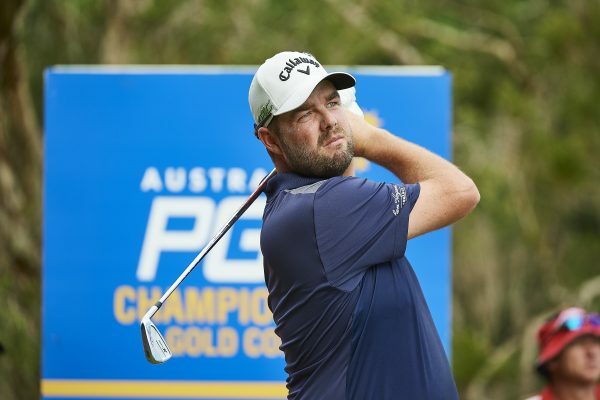 World Number 16 Marc Leishman has pledged his continued support of the Australian PGA Championship as the first player to sign on to the 2018 tournament to be held from 29 November -2 December. Leishman, who last year won the Greg Norman Medal, will return to RACV Royal Pines Resort with one thing on his mind; winning. The Victorian has finished in the top-15 three of the four times he has teed it up on the Gold Coast layout for the Australian PGA Championship. But for all his numerous career achievements which are highlighted by three PGA TOUR wins and four top-10 Major finishes, Leishman is yet to claim one of the ISPS HANDA PGA Tour of Australasia’s pinnacle titles. This is a fact he very much hopes to change this December. “Winning a significant title on home soil is a huge career goal of mine, winning the Australian PGA Championship would certainly rank high on my resume if I were able to accomplish it,” said Leishman. “I have played well at RACV Royal Pines Resort over the past few years. I definitely think it is a layout that suits my game so I believe winning there is within my grasp. Leishman has enjoyed a strong start to his 2018 PGA TOUR season already recording four top-10 results including a tied seventh at the Sentry Tournament of Champions and outright ninth at The Masters. A late edition to the field in 2017, Leishman becomes the first player to commit to the European Tour co-sanctioned tournament in 2018. “Marc has always been a wonderful supporter of Australian golf and one of my personal highlights of the 2017 season was watching Marc receive the Greg Norman Medal,” said Gavin Kirkman, CEO of the PGA of Australia which owns the ISPS HANDA PGA Tour of Australasia. “We are delighted Marc will be joining us on the Gold Coast for the Australian PGA Championship this year. We enjoy welcoming home all our leading Australians so we can celebrate their achievement throughout the year at the final event of the season; the Australian PGA Championship. 2018 has been a big year for sport on the Gold Coast and the Australian PGA Championship is set to close out the year in style. Tourism Industry Development Minister Kate Jones said Leishman’s inclusion in the 2018 event would again ensure a strong field. “The Australian PGA Championship always attracts a strong international field of world-class golfers, but to have Australia’s best players also competing is what makes it truly special,” she said. “Marc is the reigning Greg Norman Medallist and has always drawn a good crowd at this event, so it’s great to have him return this year. Tickets to see Marc Leishman play in the Australian PGA Championship from 29 November to 2 December at RACV Royal Pines Resort are now on sale at Ticketmaster. General admission to the Australian PGA Championship is $25* when purchased at the gate or via Ticketmaster with children, 16 and under, granted free admission when attending with a paying adult. If a marquee is more your style, a number of different corporate hospitality options are also available, please visit pgachampionship.com.au.